The unimaginable accident at the BP oil drilling site in the Gulf of Mexico has underscored not only the vital need for closer observance of existing rules governing human activities that might affect the environment adversely, but offers a horrifying example of why far more stringent rules are needed. 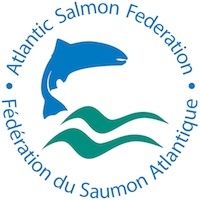 The old argument that placing restrictions on businesses in order to favor the environment would mean a loss of jobs and therefore harm the economy, should have flown out the window with this event, as the rush to enhance the bottom line of one corporation resulted in an ecological disaster that destroyed many small businesses and endangered the livelihoods of fishermen, seafood processors, tourism business operators and others. And that’s without beginning to try to assess the potential loss of wildlife, habitat and plant species and the lingering effects these losses will have on lives and businesses in the Gulf of Mexico. Anne Hayden takes a look at the potential for oil drilling around the Gulf of Maine, even as the northern jurisdictions on the East Coast worry that the oil pouring into the Gulf of Mexico might reach our shores. Dr. Susan Shaw, director of the Marine Environmental Research Institute, dove in the Gulf of Mexico to observe the ‘spill’. We offer a link to the op-ed piece she wrote for the New York Times on her experience. On a positive note, the Gulf of Maine Council on the Marine Environment celebrated its 20th anniversary in early June, and unveiled the first State of the Gulf of Maine Report, which covers six areas. Up to 14 theme papers are planned so far and those already written are available on the GOMC website. Dr. Jay Walmsley, editor of the report, says the hope is that academics and managers will use the information in the report for future planning purposes. The province of New Brunswick has several interesting programs and projects that help to protect and enhance the environment. We take a look at a few of those in this issue. Also, we feature education about wolffish and new research and data on winter flounder. Harvesters of summer’s most popular delicacy, the lobster, are being challenged by economic issues. Anne Hayden looks at the state of the industry. And a bigger species gets its due in a new book, The Whale, reviewed by Lee Bumsted. Enjoy the new issue, and enjoy summer around the Gulf of Maine.